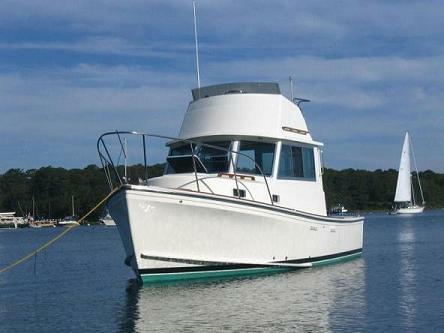 I purchased this 1988 Cape Dory 28 Flybridge Cruiser in July of 2004. She had been on the hard for nine years, according to the previous owner due to a variety of circumstances. I would suggest that "NEO" is in all likelihood the nicest Cape Dory in the World, unless someone else has done the same retrofits that I have. With the exception of the Volvo TAMD41A which has approximately 700 hours on it, everything else has been renewed. I am selling her as I am moving down to a trailer-able boat. She currently is stored inside in Portland, CT and is scheduled to come outside in May for commissioning. If you are serious about a Cape Dory 28, I urge you to look at the others for sale and then look at NEO.